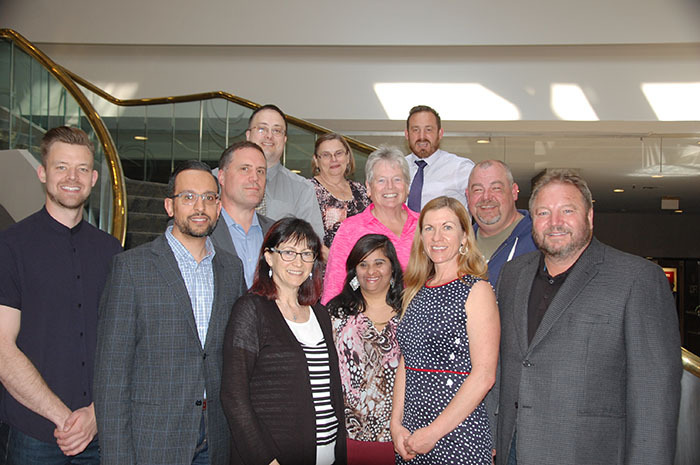 The Canadian Down Syndrome Society Board of Directors is made up of volunteers from across Canada who are committed to the vision and mission of the society. 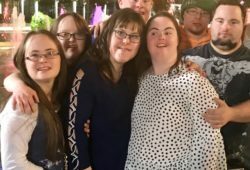 Currently the Board is made up of ten individuals who have a personal or professional relationship to people with Down syndrome. Each year nominations are accepted for vacant Board positions and new Board members are elected at the Annual General Meeting. The primary accountability of the Board is to the members of the CDSS. The Board will govern the organization utilizing available financial resources to ensure the best possible services for the membership. Be accountable to the membership and to the community at large of persons with Down syndrome and their families for the accomplishment of its responsibilities. Conduct itself in an ethical and responsible manner. Ensure the financial viability of the society through active participation in fund development. Focus on the mission, vision and values of the organization. Educate itself regarding issues affecting the society in order to make informed decisions concerning the future of the organization. Establish policies to provide guidelines and limitations to staff, Board and volunteers in implementing the goals of the society as set by the Board. Work in collaboration with the Executive Director and administrative staff. Discipline itself in matters such as attendance, compliance with Board policy, respect of roles, confidentiality and conflict of interest. Protect the society and its assets by considering risk and risk minimization when making decisions. The Canadian Down Syndrome Society (CDSS) is seeking applications for new board members. Each volunteer position consists of a two-year term with eligibility for up to five terms. Travel to attend 3 week end meetings per year is required and the related costs are refunded. New board members are selected based on a variety of criteria; geographical location, skill sets, and involvement with non-profit or volunteer organizations. Nominations are accepted any time. Recruitment begins in winter each year. Nominations are to be submitted by email to llchaircdss@gmail.com. Nominations may be submitted by yourself or by someone on your behalf. To qualify the nominee must be a current member of CDSS and be prepared to endorse and uphold the Vision and Mission of the Society. Successful applicants have a phone interview with members of the Nominating Committee. The Nominating Committee will recommend to the CDSS Board the slate of potential nominees for that year in March. New board members are formally voted in by the CDSS Membership at the May Annual General Meeting. All nominees will be contacted by the Nominating Committee and informed of the status of their nomination. Laura LaChance, Interim National Executive Director at llchaircdss@gmail.com. The CDSS Board holds week end meetings in September and January. Weekday meetings are held in May in conjunction with the Annual National Conference which the Board participates in as volunteers, speakers, and networking with our Affiliates and local organizing committees. . Each year the location of the conference changes. Board Members actively participate on sub-committees of the Board during each term. Board Members may join the Executive Committee any time after the first year is served. Ongoing Board and Committee work and related conference calls are completed between in person meetings and requires a varying amount of time, commitment and self-direction. Board Members must be knowledgeable of responsibilities of a national non-profit organization. 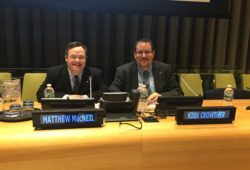 Board members must be aware of the needs of individuals living with Down Syndrome in all life stages including issues related to education, medicine, and ethics, No individual will be an expert in all of these areas but a board as a whole must contain combined knowledge to address these ongoing issues. For this reason individuals with a variety of professional and personal skill sets are identified and desired. If a Board Member resigns prior to completion of the first two-year term, any travel costs refunded by CDSS must be reimbursed by the resigning Board Member. You do not have to be a member of the CDSS Board of Directors to participate in projects being developed by CDSS. If you have a particular interest or project that you would like to pursue please contact us to discuss your proposal. CDSS looks to its member groups and individuals for advice, expertise and potential partnering in various projects throughout the year.